Winter is coming, actually it’s pretty much here, and if you don’t want to look like a crusty White Walker, then it’s time to give some serious though to how you protect your outer layer of skin. The recent drop in temperature to Baltic levels combined with wind and the wet stuff (which will likely soon turn a whiter shade of pale and hail down on us) will play havoc with any attempt at a fresh, youthful look. The immediate reaction to the short, dark days – whacking up the central heating – just makes it worse. Then there is the dramatic change in temperatures between inside-cosy and outside-drookit (as they say, rather poetically, north of the border). This sudden change can lead to skin becoming hypersensitive. Have you found yourself itching of late? Oh, the woes of winter! The key is to crank up protection. Dry skin often reacts to the challenges of chilly weather by producing a small amount of sebum, which increases the risk of irritation and damage during the winter months, regardless of skin type. The answer is to introduce a rich cream for the face, which can be enhanced by a weekly or bi-weekly deep masque. Regular exfoliation will also help skin glow with health rather than with cold. And don’t forget to protect lips. Why not try the American Crew All-In-One Face Balm; a daily moisturiser that minimises redness and skin irritation. It’s innovative ingredients fight the signs of ageing and prevent ingrown hairs. You might also find shaving more of a challenge, with sensitivity a real issue. 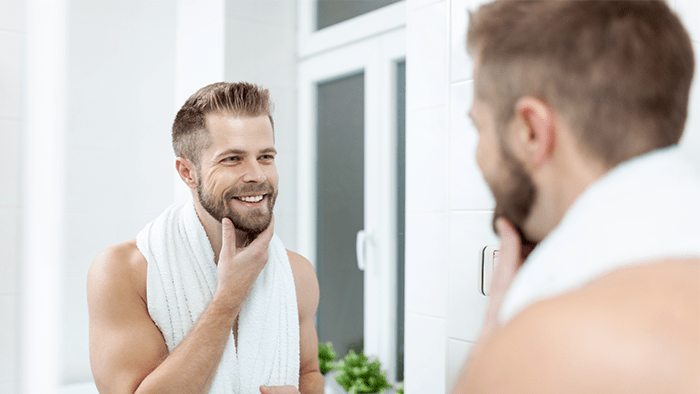 The key is to keep the water warm, not over-hot, and to swap to a sensitive range for your shaving lotion and face wash. Keep an eye out for the ‘hypoallergenic’ label as this could help reduce your discomfort. But if it all becomes too unbearable and you decide to see out the cold by sporting a full set face-wise, make sure you regularly drop by any of our eight Jacks of London barber stores to let our ace crew of top barbers keep it well-groomed throughout. 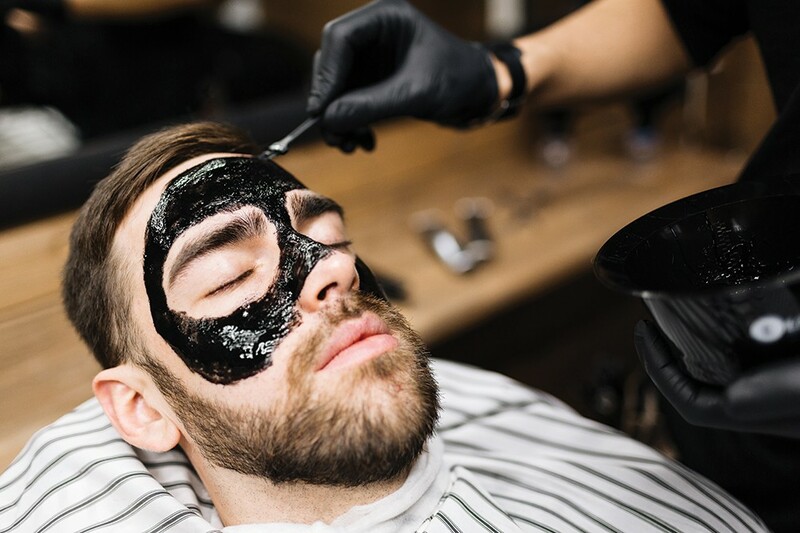 The Barber Pro ‘Man Masks’ are a great skin saver for the winter. Pop into Jacks and choose from a range of anti-ageing, exfoliating or post shave skin masks.